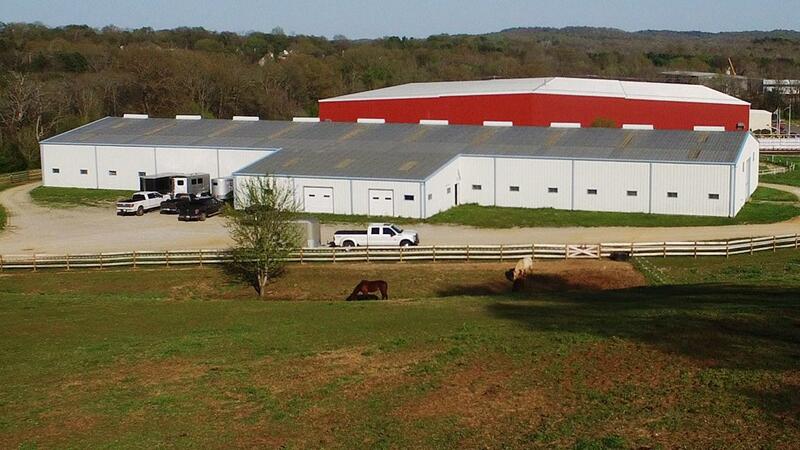 110 ACRE EQUESTRIAN CENTER with Large 21,800 sq. 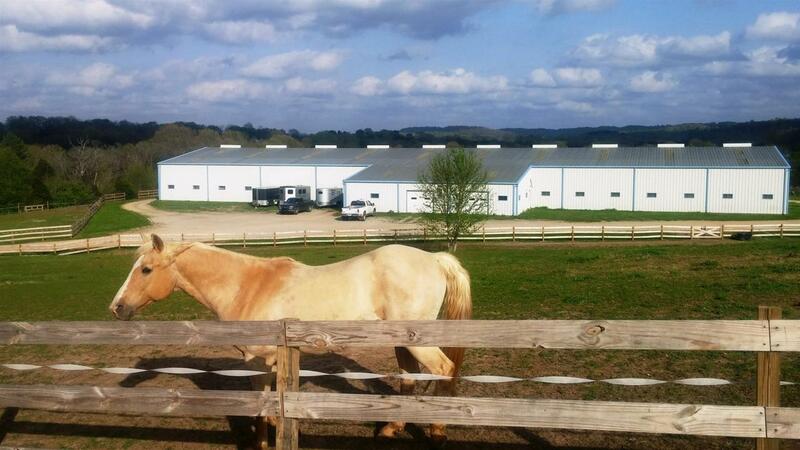 ft. horse barn, indoor riding arena, 40 stalls, and pastures on a private road. 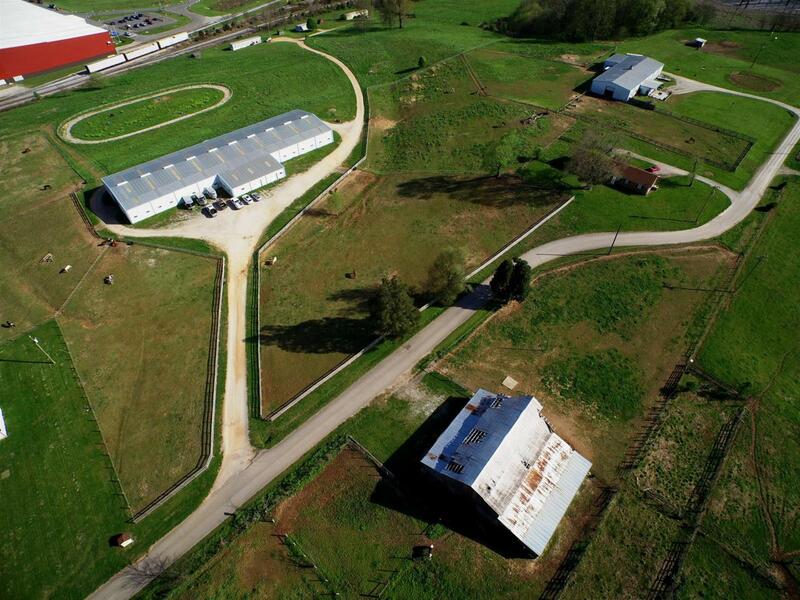 Seven residences on site all with tenants and great cash flow. Pond, cross fencing, and creek. 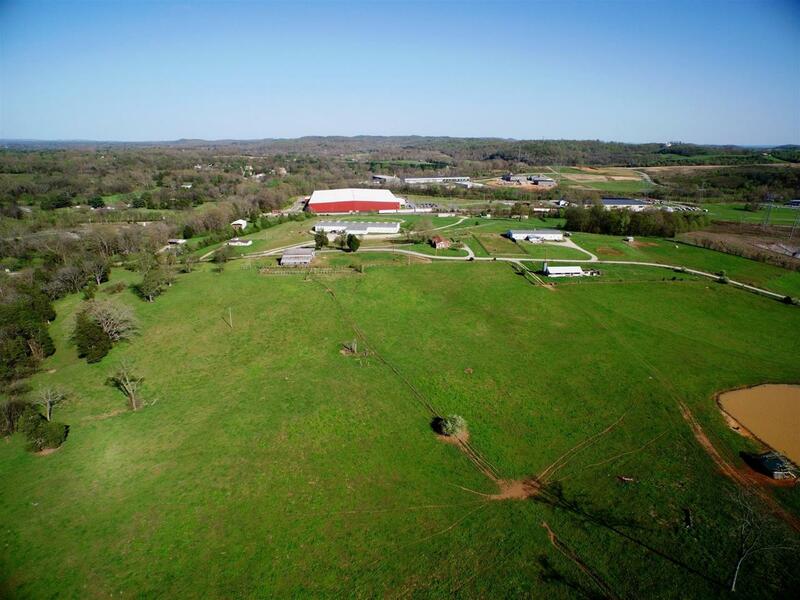 Includes brick Duplex, Dbl Wide trailer 3 Sgl wide trailer homes and apartment in a second horse barn with two bedroom suites.